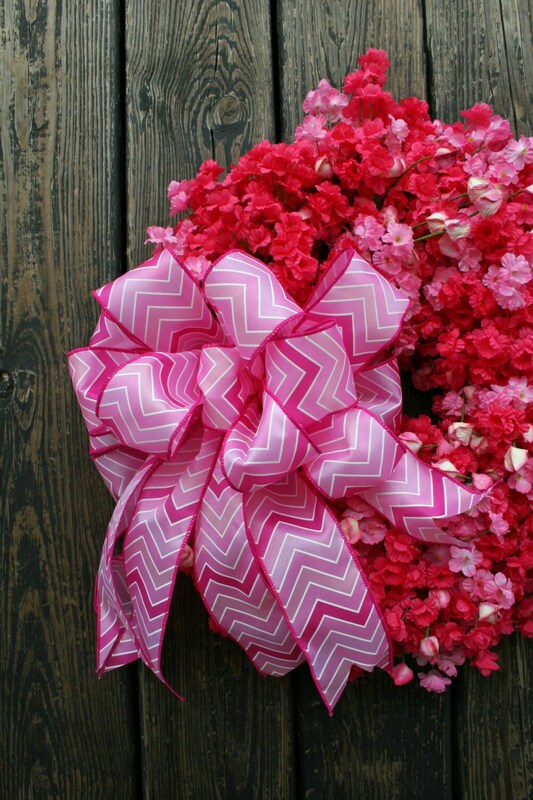 Add a bit of splash and whimsy to your home with this lovely pink summer wreath. 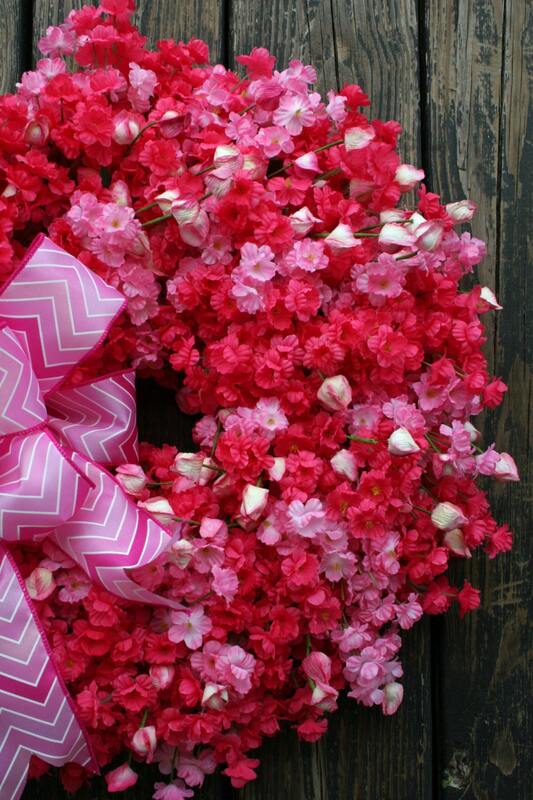 It is loaded tiny pink and fuchsia flowers and little pink lantern flowers. 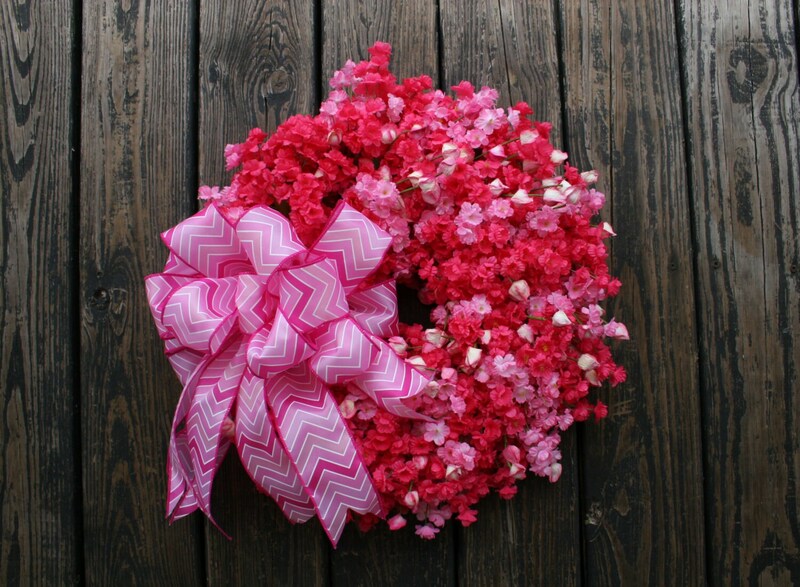 There is absolutely no filler in this wreath. It's all blossoms. 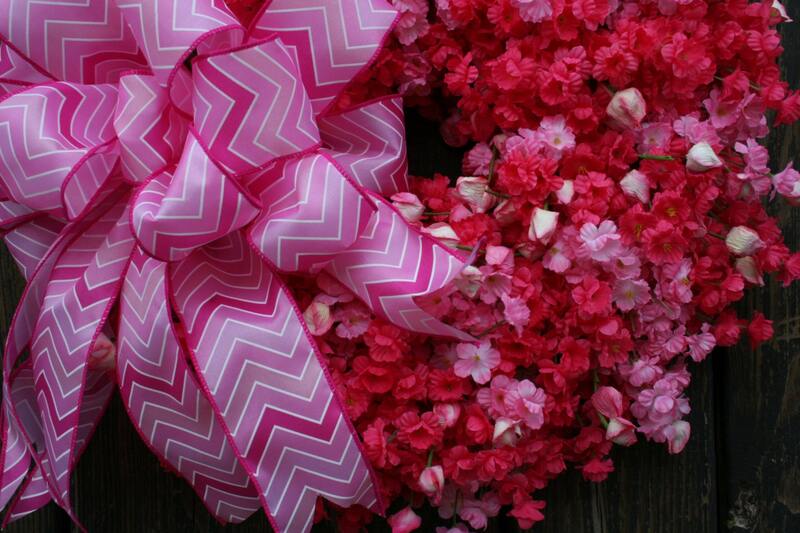 A beautiful chevron pink bow makes this wreath perfect for spring or summer! The base is a 12 inch boxed wire frame. 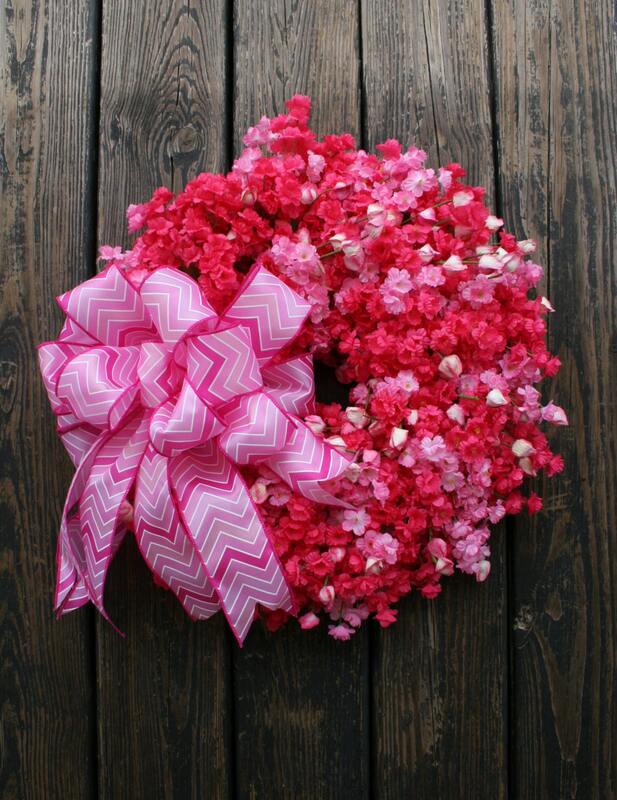 The finished wreath measures approximately 20 inches tip to tip.